Updated Monday January 28, 2019 by Justin Darin. Tee Ball – This League is designed for boys and girls ages 4 – 5. This is a co-ed league. 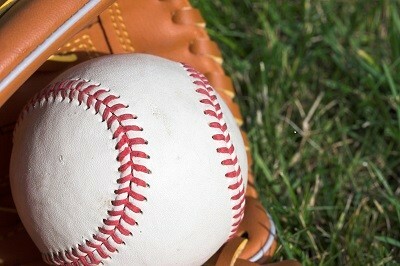 It is an introduction into the sport of baseball. Players will need to have their own glove. Intermediate – This League is designed for boys and girls in Kindergarten. Boys and Girls will play in separate leagues. It is an extension of our Tee Ball League which continues the introduction of the sport of baseball & softball as well as the introduction of live pitching. Batters are provided three to five live pitches from his own coach, if a hit is not successful, the batter will be able to put the ball into play by utilizing a tee. Base running will be limited to introduce to offense and defense the ability to be put out. Instructional – This League is designed for boys and girls in 1st through 2nd grade. Boys and Girls will play in separate leagues. This level of baseball/softball begins to expand the players’ knowledge of the game by introducing live pitching and batting. This is a coach pitch league, with limitations on base running to continue our player development of the sports key essential areas, while not yet focusing on the winning of the game. Minors – This League is designed for Boys and Girls in grades 3rd & 4th. Boys and Girls will play in separate leagues. This level of baseball/softball begins to introduce the players into a higher level of competitive recreational baseball. This is a player pitch league, with no limitations on base running. Players will be drafted onto a team prior to the season. Players will remain with same team for all subsequent years until no longer eligible for Majors League (Next League Level). Majors – This League is designed for Boys and Girls in grades 5th & 6th. Boys and Girls will play in separate leagues. This level of baseball/softball begins to introduce the players into a higher level of competitive recreational baseball. This is a player pitch league, with no limitations on base running. Players will be drafted onto a team prior to the season. Players will remain with same team for all subsequent years until no longer eligible for Majors League. Pony - This League is designed for boys and girls grades 7th to 9th. Boys and Girls will play in separate leagues. This level of baseball and softball introduces the players into a highest level of competitive recreational baseball. This is a player pitch league that will require travel to various areas around Geneseo, with no limitations on base running. Players will be drafted onto a team based upon a player evaluation tryout prior to the season. Players will remain with same team for all subsequent years until no longer eligible for Pony League.